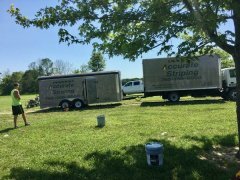 Madison County Equestrian Club Arena Rehabilitation Donation - Accurate Striping, Inc. 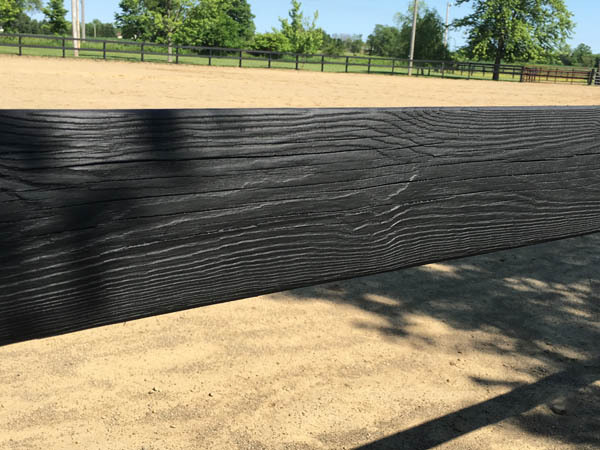 Horse power is the name of this game! 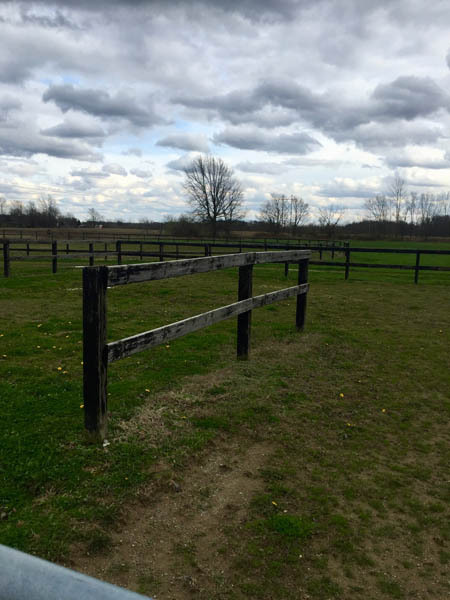 The Madison County Equestrian Club, a local not for profit organization, has provided family entertainment for over fifty years. 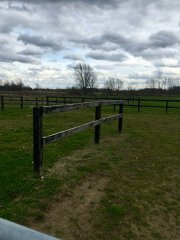 In 2016, the facility’s number one attraction, the riding arena, was in desperate need of fence repair and rehab. 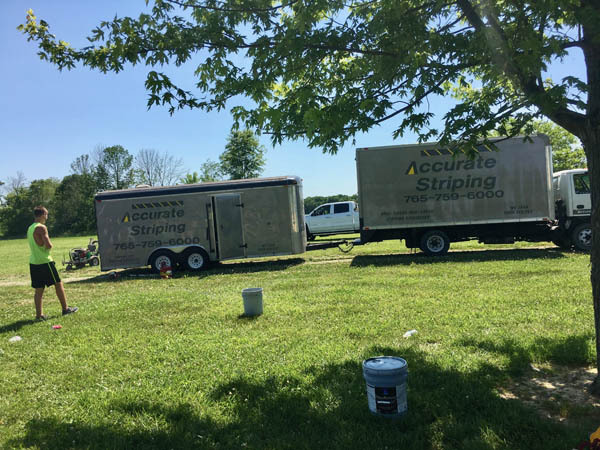 With a limited budget and many other needs, Accurate Striping stepped in to repair, pressure wash and paint the arena fence, all at no cost to the Club. 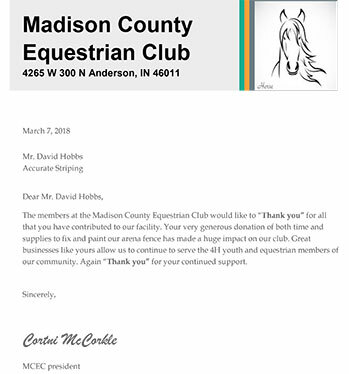 It was our pleasure to do this for such a fine organization whose goal is to promote horsemanship and a sense of community among Central Indiana equestrians.